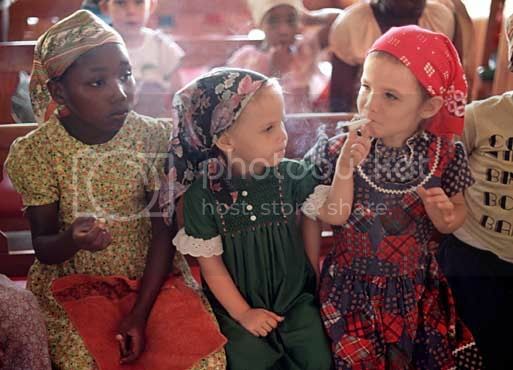 Gainesville, Florida. 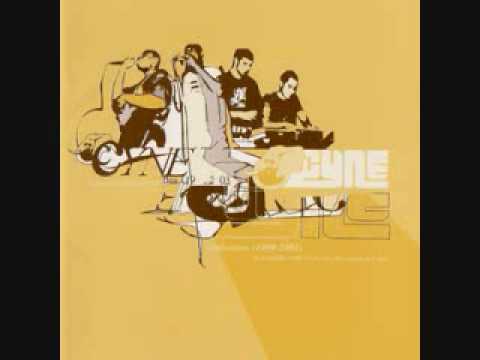 2003, a hip hop group named CYNE (Cultivating Your New Experience) release an album entitled 'Time Being'. An album that will lay the foundations for one of hip hop's most timeless groups of the past decade. 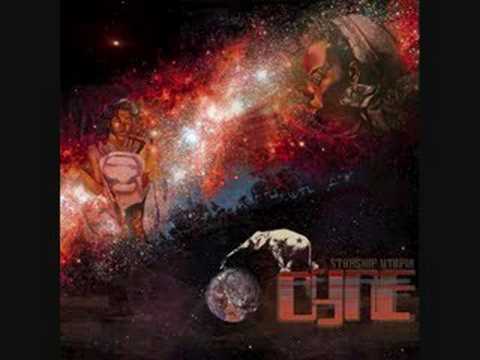 Based around two producers and emcee's, CYNE are a hip hop group with foundations of knowledge (in the form of Cise Starr and Akin) and depths of soul (in Producers Enoch and Speck). A mix that is rare in the hip hop scene and most definitely missed. Sure, one could refer to the CunninLynguists or take it back to the Tribe Called Quest days, but in the modern era, a group with introspective rhymes that ask questions of faith and life are few and far between; even in the moments when we share an ear with emcee's such as this, they are usually backed with boring monotonous beats, ruining the emcee's shine and resulting in an album that's barely listenable. However, CYNE are the opposite to this, they are made up of two talented producers who make soulful landscapes that fit emcee's Cise Starr and Akin like a cape fits Batman. The result is something poetic and brilliant, hard to find yet totally worth the wait. Six releases later and CYNE are an Independent Group with a following of sorts, the unsung heroes if you like, in an otherwise appreciated community. Following two 12" releases, CYNE stepped up with their debut LP, Time Being. 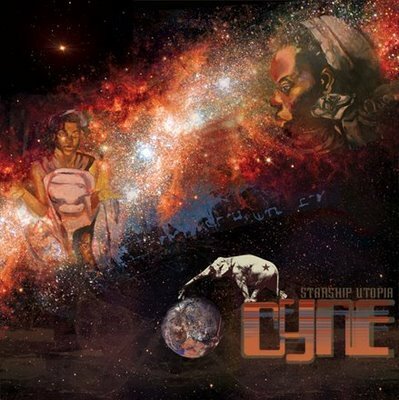 Experimental, at times funky but always uplifting, CYNE's debut showcases the groups strengths. 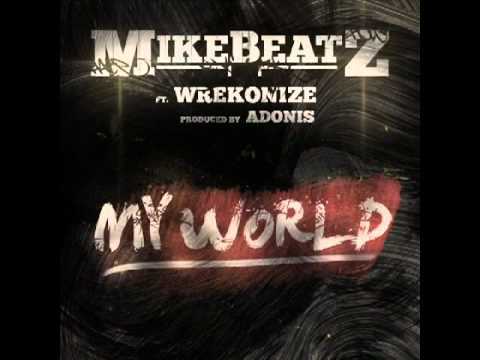 The beat choices are varied and at times, distracting but each track hits hard all the same. One standout in particular samples Nas discussing his purpose in life, before one of the most tranquil beats of the 00's kicks in... if rain ever made a beat, it's this. A timeless track in every way, Cise Starr begins to question life, a Mother's passing and the forming of CYNE with clarity. The questions begin to set the motion in place for what this writer sees as their best LP, Evolution Fight. Although the first half of the album starts off pretty much hit and miss, the second half of the album hits with a barrage that would forgive a new ear for mistaking the album as a Greatest Hits. Outstanding record after outstanding record, the creative beats switch to conscious questioning of God's presence at the switch of a track. Moments of questioning 'the meaning of life' are ever present, as are moments of heaven and the re-uniting of loved ones. It's with this deeply personal tone and incredible music backdrop that CYNE create a soundtrack to your life. This is real hip hop in the same vein as it's real music, something we can feel in our every day lives and something we can relate to. Whether it's the Arrow of God that's set to strike you or if you're flowing like an autobot in Automation, Evolution Fight has something for every mood, yet still sounds seamless. A far cry from flawless, yet you could be forgiven for stating it as perfect. Following a great album such as Evolution Fight is always a difficult task, but in 2008 CYNE decided to drop two albums, instead of one. First starting with their Japan only release, Starship Utopia, which can be described as futuristic electronic music with a message. A move from the left side, maybe; but nonetheless a strong release that fits well in relation to their catalog. Unfortunately, this album only runs in at 30 minutes and has one true standout track in the opinion of this author; the album-titled track sounds inspired by Del and his 3030 project as the duo describe a new world and the Solar System in fast pace 'zooming to the rapture, watch out for image capture' over a mesmeric beat from the underrated Enoch and Speck. CYNE's second LP of 2008, Pretty Dark Things, was stated to be released in the same year due to their extensive work in the studio. No doubt the quality of music that was produced hand in hand with Enoch and Speck alongside the Ghanian-originated emcee's had something to do with it and this is evident here. Continuing with their uplifting rhymes of choice, intelligence and knowledge, whilst never straying away from politically fuelled rhymes ("Now we all caught in police state/ do you want to escape or pray? "), CYNE continued to show that no sound was their own, forever experimenting with loops, beats and rhymes. One standout, 'Elephant Rome' loops a fantastic guitar riff alongside electronic sounds that brings the best out of the emcee's who rhyme on a mesmerising level... 'The ice glass prism in the sun that blinds others, the serpent in the rainbow, he bright like day glow, colours within the black light...' A solid release that towers above Starship Utopia due to its length in particular. 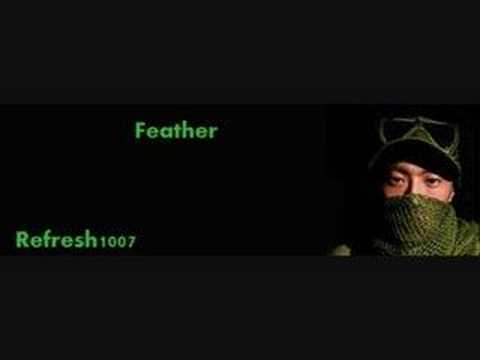 A lot of quality tracks posted; out of those I'd say First Person, Arrow Of God, Up Above and Feather are my favourites. I think I'll give Time Being a listen in full some time in the not too distant future. I'm a big fan of the tracks that you like too, especially Up Above, Arrow of God and First Person. Have you listened to Evolution Fight? It's their best album, IMO. Yeah I read it which is why I wanted to go with the first album first, set the tone of it all. Didn't get chance to go through the albums yet so glad this topic came up. I think the thing that put me off with going with Evolution Fight first as well was the bit about the start being hit and miss but I'll still give it a try. And yeah, get what you mean. There's only so much you can do with the space but it's enough to get you started with an artist/group. Props, yeah, but don't forget that Evolution Fight could be mistaken for a Greatest Hits as well... I played that album for an entire summer on repeat, it's a great album and better than Time Being overall as the emcee's questioned everything, so it's a coming of age album in the same way that other artists debut's usually are. It's good that you read it anyways, is a lot to read, so appreciate you taking the time and it's definitely worth it to do so as like you say, it puts you on to a new artist. I was lucky enough that a former IC member put me onto Cyne, Time Being and Evolution Fight are both 3.5-4.0 mic albums. I don't think that they have been able to duplicate the same quality since Evolution Fight though. lol I think that might have been me, I've made loads of threads about them on the old I.C. But I think Big L RIP put me on to them and that's how I discovered Nujabes. Know what you mean though, both of them were great albums, but since they are very experimental, but I put it down to the questions that they posed on those two albums in particular which made them great. You not still think that it comes across as nice regardless though? I've found some of their recent releases really listenable.... just not as much as Evolution Fight (which I see as one of my favourite independent albums, period). Absolutely Love CYNE! Actually the Florida underground scene is pretty solid!! Any of them sound similar to CYNE? Mayday has that rock sound like them! But CYNE still has that unique earthy sound that separates them from others. hahaha it is canny full, I have over 200 albums in CD format and a lot more on my Mac. But I only know a lot of Independent Artists because it's all I've really listened to for 7 years or so... before that, I was listening to all the classic mainstream records, but once I ran out of listening to those, I delved into the Independent stream after discovering it here... most mainstream stuff I don't listen to at all... so my knowledge of it lacks... but most of what I heard is rubbish. I'll only check their singles, it's artists like The Roots that I'll always listen to though, who are mainstream. Hahaha yeah man, i think im in a transitional stage with hip hop, i never really listen to anything mainstream anymore, ive gone off Jay, Em, Dre Ect..... i think Underground is more mature Hip Hop... and as im gettin older i relate to it alot more than the mainstream stuff. Ahh it's good, you'll still have love for Jay and them as you get older, they make grown music too or sometimes you just wanna check something else, like I have all their CD's... but it's true, the underground, generally, is more grown. TBH, I would say CYNE should be first on your list out of those... Saigon and Raekwon are still mainstream per se... they're still really good, but Evolution Fight touches on things, the CD pretty much crafted a summer for me and changed my perception on things due to the questions posed by the two emcee's. That's cool, I'd really, really like to see them live. Good show? Cyne is dope. Thanks for spreading the word. Going to leave them as Artist of the Month this month, been mad busy and going on a trip tomorrow. My apologies to anyone who checks the series.